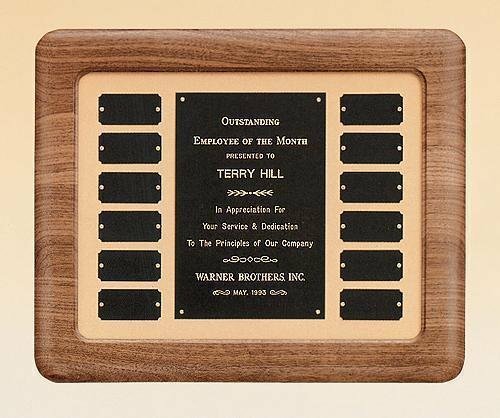 Solid American walnut frame perpetual plaque with 12 black brass perpetual engraving plates. Individually boxed. 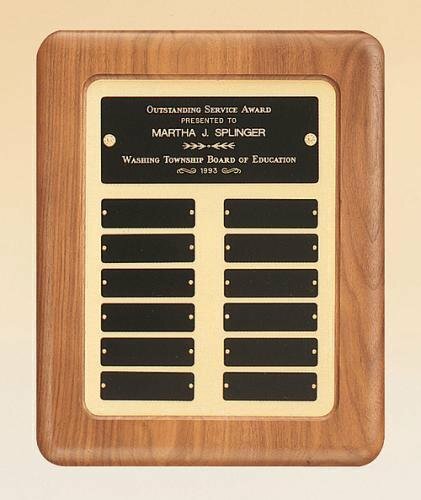 Solid American walnut perpetual plaque with brushed gold metal back plate and 12 individual black brass plates. 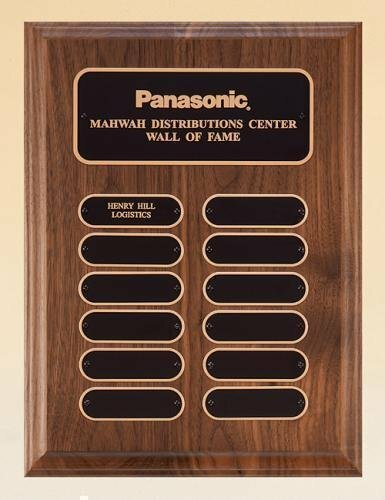 An Excellent Monthly Recognition Perpetual Plaque. Individually boxed. PRICING INCLUDES ENGRAVING on header plate!